Mack Truck's 20-passenger tour bus, 1904. Flip to The first motorized vehicle produced by the Mack Brothers, circa 1900.
Credit: Courtesy of The Mack Trucks Historical Museum. 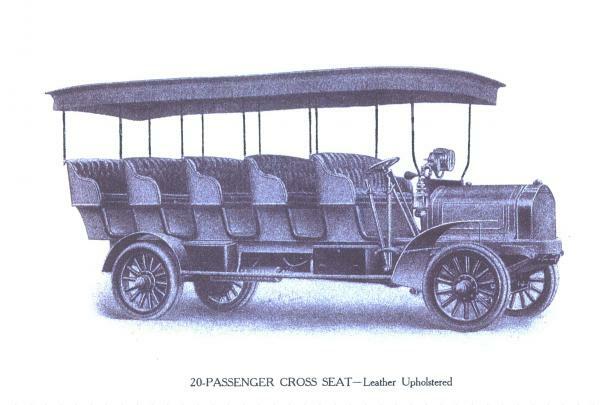 This bus was typical of the vehicles produced by Mack Brothers in the early years. Many of these were used as tour buses and to transport people and baggage between railroad facilities and places such as hotels and spas.